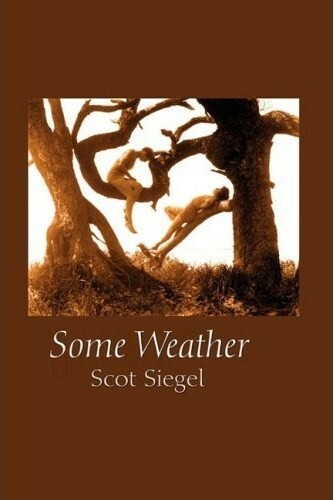 Scot Siegel opens his collection Some Weather with a self-written Foreword where he poses the question “Is poetry a part of your life?” Perhaps most people who read his book will be able to say yes because, it seems, that the vast majority of poetry readers are poets on some level themselves. Siegel believes that poetry should be a part of everyday life and his collection is replete with references to his personal life as a husband and father, his work as an urban planner and his leisure life which includes a love for the outdoors. Siegel hopes that, “The best poetry blurs the line between everyday life and high art, and moves us to repair the world.” Siegel sets the bar high for what he expects out of poetry and especially for himself as a poet and citizen. Some Weather contains five sections. The first, of the same name, opens with a poem titled “Sunshine.” In this short piece, that holds a conversation between a father and daughter, we glimpse the everyday world that Siegel mentions in his Foreword. He writes, “Daddy, I like it when the sun / interrupts us . . .” (and then the father interrupts with) “Oh, yes . . . Yes, like when it / burns through fog, splashing leaves.” “Sunshine” is a beautiful invitation into the book. This poem lets us know we will be asked to look at the world with new eyes. Whenever a book is divided into sections, I find myself drawn to commenting on the collection section by section and I can’t help but do that here as well. The second section of Some Weather is “The Blue Glass Room.” The impression I took away from this second section was of a writer looking into his past as a way to look forward. The poem I was most drawn to was “Exposure” where Siegel writes, “Take someplace where you / kissed back then / / Now go there. Photograph it / and mail it today.” Everything about this poem seems simple from the choice of words, to the couplet form but this hides a subtle complexity. The word exposure in the title can be applied to the photograph but also to the act of exposing a memory of the past to the reader as well as to the implied person to whom the photograph is being sent. This is a poem, to me, about memory and how it changes over time, how it could be weathered away by exposure. The third section of Some Weather is “Small Talk.” My favorite poem in this group was “Roll Call” which opens the section. Siegel writes, “Did every name / have a fragrance then? // and why does Erin / still linger so?” What a fresh idea, this notion that names have their own scent. “Good” poetry, for me, often says something I wouldn’t have been able to say; it has a unique voice, phrasing, etc. “Roll Call” is a perfect example of why I love poetry. This poem speaks to a fairly common theme – a crush – but manages to address the idea in a new way. Siegel’s attention to detail really shines in this section which includes several haiku sequences. Siegel’s fourth section “Public Hearings” is best represented by a quote from the poem “Public Hearing” which almost looks like a memo or letter with its short paragraph form and indentations. The poem opens, “I am not looking out a window. / I am not standing in front of or sitting with my back / Turned towards a window – .” This poem is very scenic yet the setting is a windowless room where decisions are made about community and urban planning. There is an inherent level of politics to the poem but I like how, again, Siegel is describing something mundane in such a fresh way. These are the types of poems that invite the reader to think about the world around them and their role in that world. The final section of Some Weather is “Voices & Bodies”. I felt myself most drawn to the poem of the same title. This poem, while not the last in the book, provides a sense of circular closure from the very first poem of the collection “Sunshine.” Siegel writes, “Daddy, did you know that our voices / are not attached to our bodies? // Because, if our voices were / attached to our bodies: // when we’d move, / we’d always be talking; // and when we’re still, well, / we could never be talking.” Here again is the father and the inquisitive voice of the daughter. Here again is a voice speaking about the everyday in ways that had not occurred to me. This is a poem that, to me, is a kind of call to action, and a call I’d like to respond more to in my own regular and writing lives. Considering I spent this whole review going through each section of the book in order, you might be surprised that I actually thought the sections may have hindered the book just a little. I found myself wondering about the order of the actual poems in the book. Why was a poem called “The Day Father’s Shop Burned to the Ground” next to another long poem “Nickel Mines Schoolhouse Memorial” (which dealt with the tragic killing of Amish schoolchildren from 2006) and why were they in the “Some Weather” Section? A discussion of organizing a book of poems is really outside of this review but it was just something that kept sticking out to me as I continued to read the collection. It doesn’t mar your reading of the book but if you are also a poet, as I said most readers of poetry usually are, you may find yourself stopping and thinking about context. I want to read the book again in order to study the structure of the book in more detail.